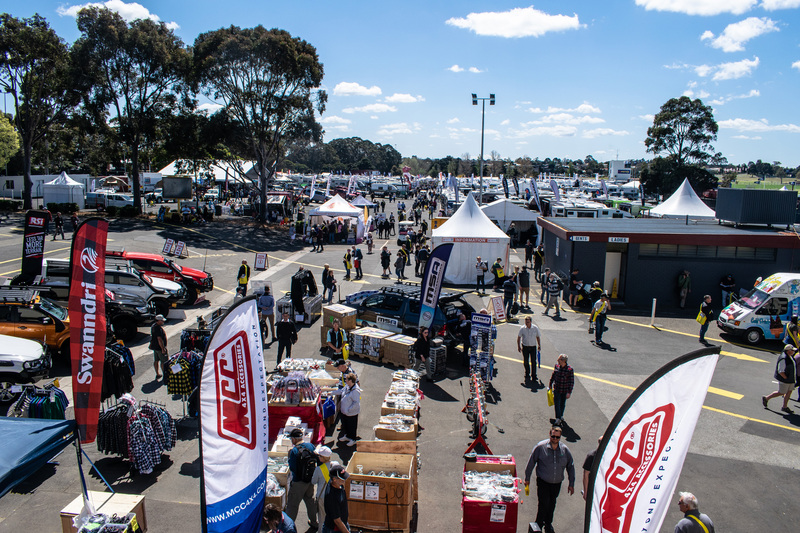 Leisurefest collected over 32,000 enthusiasts at Sandown Racecourse in Melbourne from October 4 to October 7. 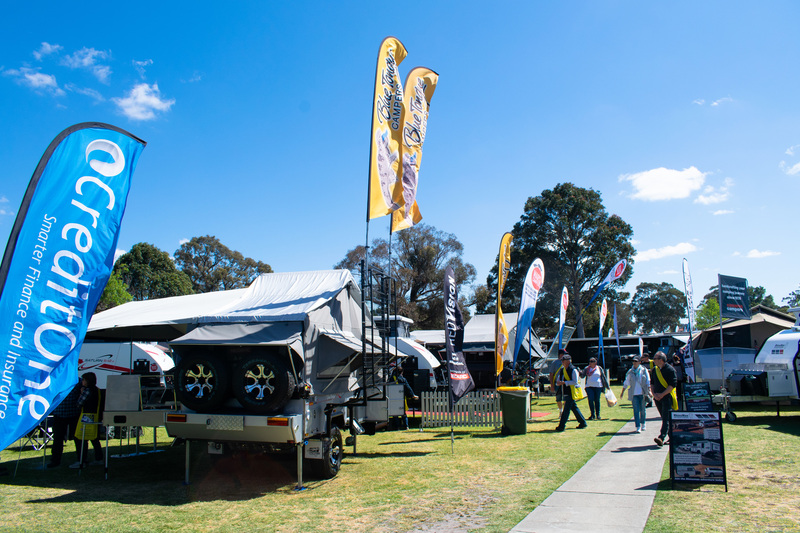 With entry set at $16, the show featured 215 exhibitions in total, with exhibitors from the camper trailer, caravan, camping accessory, slide-out, pop-top, 4x4, motorhome and campervan markets. Over 30 of these exhibitions were dedicated to camper trailers. The show gave brands the opportunity to showcase their products – including several new ones. 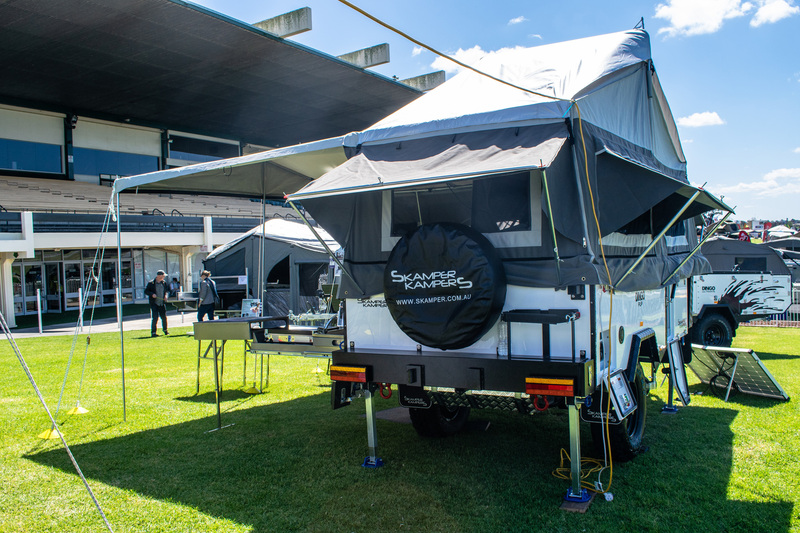 Skamper Kampers exhibited their new lightweight forward fold, Dingo Pup, for the first time in Victoria. Graham Parker of Skamper Kampers said that the camper, only two to three weeks old at the time of Leisurefest, had sold out already, but that more were in construction in order to meet demand. The Pup continues Skamper Kampers’ tradition of using a one-piece continuous chassis, with all of the brand’s campers sharing the same chassis, same tub and same tent. Similarly, the show gave Trakmaster the chance to showcase their recently acquired Pioneer Mitchell, which they purchased over half a year ago to add to and diversify their range. The camper trailer, still carrying the Pioneer name, has been modified by Trakmaster in various ways, general manager Ron Larkin said. “When we bought it, a few things really stood out,” Larkin said. “The suspension was a little light-duty. So we copied the Trakmaster suspension; we made it smaller and retrofitted it into here. That reduced weight, while adding to strength. “It used to have a 125 litre stainless steel water tank; that was heavy, and prone to fatigue and cracking. Now we’re using a plastic or polycarbon tank, which has more longevity and is lighter. 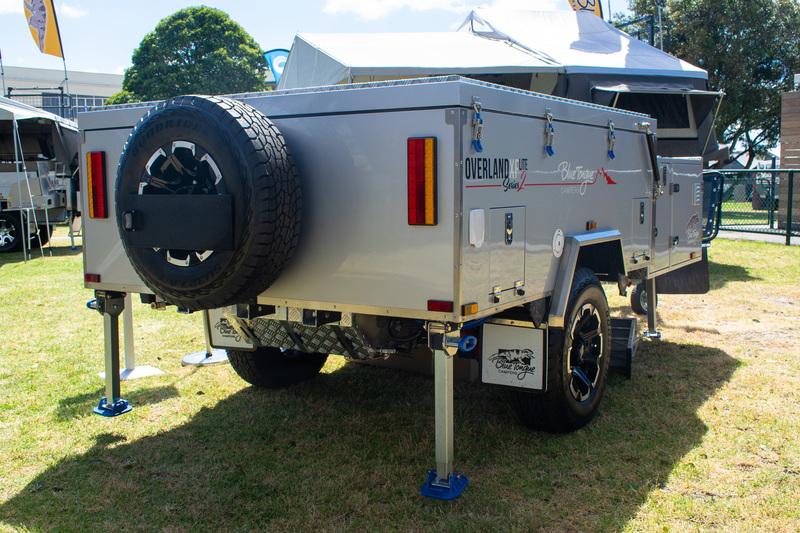 He said the camper trailer had been very well received at the show and generated considerable interest. Another new product on display was New Age Caravans’ Wayfinder Range of campers, with two available models (standard and family layout) and two available upgrades (Comfort and Adventurer). 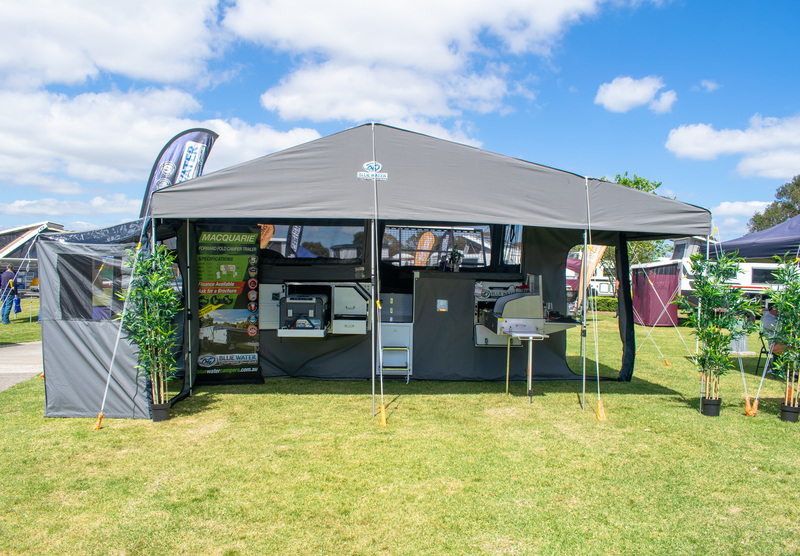 Leisurefest also showcased a range of new heating, accessory and refrigeration products of interest to camper trailer users. Leisurefest provided brands with the opportunity to sell their products before the new year, but was ultimately held for the benefit of the customers, Mars’ sales and marketing manager Celso Prado said. “We want to talk with our customers and not just transact,” he said. “It’s great to hear the feedback of new customers. “This is for the customer – we are here for the convenience of the customer so they can see many brands in the one spot. “This event is a good cross-pollination of ideas. Every one is in a glass house here. However, he said a limitation of shows compared to the showroom was that it can be difficult to show the customer how to set down and set up, and offer the full consultancy experience. 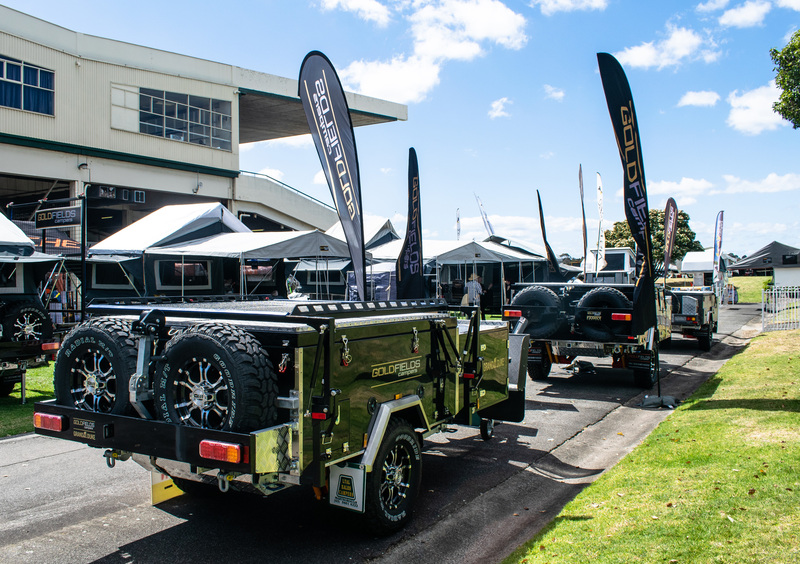 Robert Harley, operations manager at Bluewater, said shows provided brands with great opportunities, with four fifths of Bluewater’s sales coming from campers being on show. “Shows are where people do research,” he said. 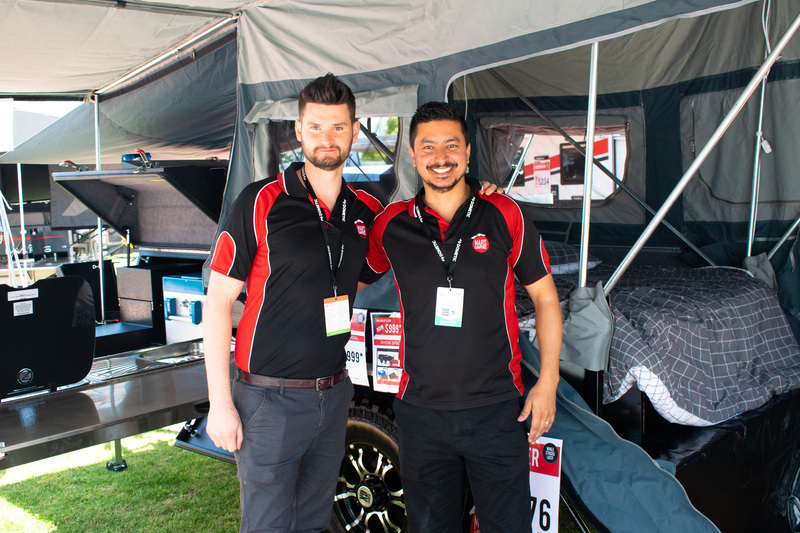 Robert said that there might be changes in 2019, but that he was very happy with the state of his camper trailer range. “We’ve thought about so much and developed so well, it’s hard to add more to it,” he said. However, Robert did express concern about the cost of shows, saying that Bluewater may stop exhibiting at a few next year. Whether Bluewater will drop Melbourne’s Leisurefest in coming years is yet to be seen. 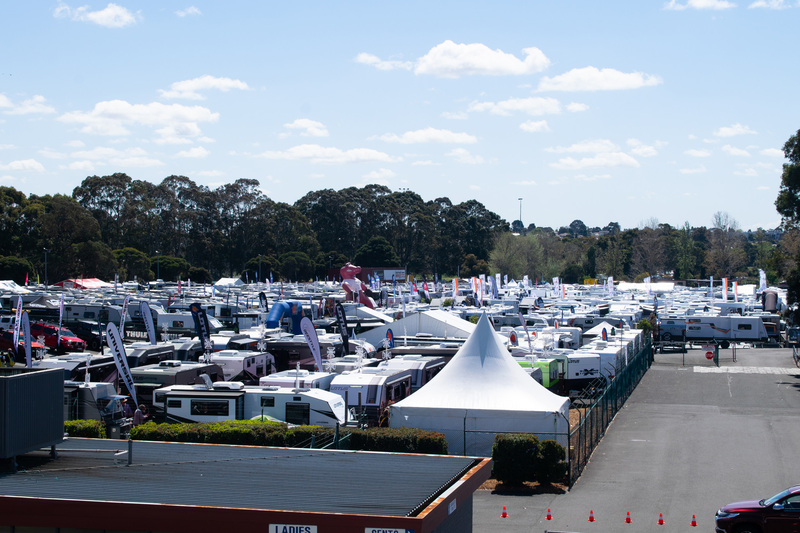 Many attendees of Leisurefest used the opportunity to research, given the unique situation of having many brands of camper trailer collected in one place. Camper spoke with Andrew, who was there researching for a future purchase to suit himself, his wife and his children. 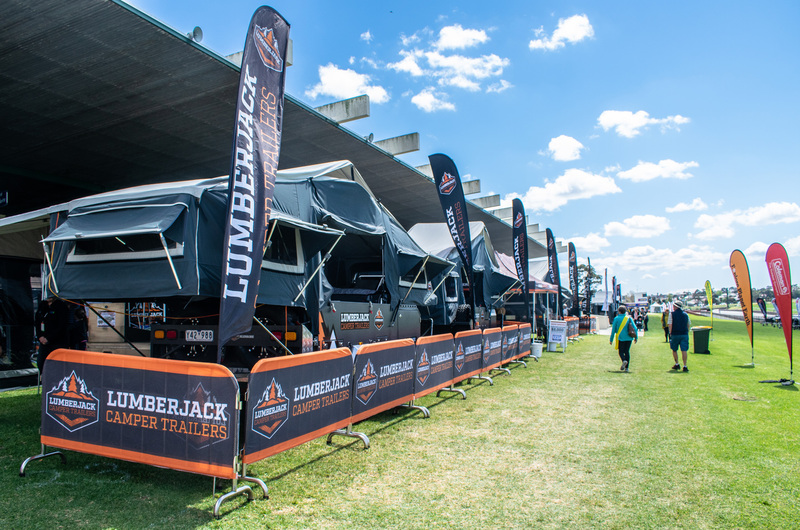 Pointing at Lumberjack Camper Trailers over his shoulder, he said “I think this mob is from Geelong – too far for me unless I was making a commitment.” The event rectified this issue of distance. “Quality built, value for money – they’re the particular things for me and my partner. I’m trying to get a feel for what’s fully Chinese-made, what’s half and half.